Though none of us would like to spend any length of time incarcerated in one, certain prisons (like Alcatraz) have always held a sort of mystique for us. Whether it’s the foreboding nature of their construction or the daring and unbelievable escapes which occasionally occur, famous prisons or jails will always hold a place in our hearts. 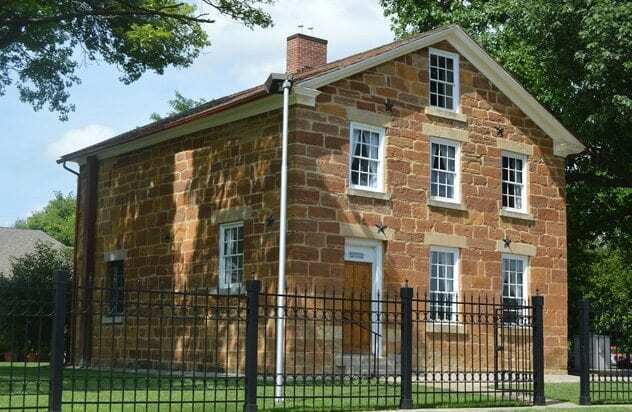 The jail in Carthage, Illinois, is really only famous for one event: the murder of Joseph Smith. His crime: the destruction of the facilities of the Nauvoo Expositor, a newspaper that had been criticizing the newly formed Mormon faith. In addition, they were guarded by an anti-Mormon local militia known as the “Carthage Greys,” so, when the mob came to kill Smith, the guards did nothing. Smith’s brother died first, shot several times, and Smith tried to escape out the window, after returning fire with a pistol in vain. He too was shot, and when he fell from the second-story window, he died upon hitting the ground, his body riddled with bullets. The former jail was purchased by the Mormon Church and is now a visitors’ center. 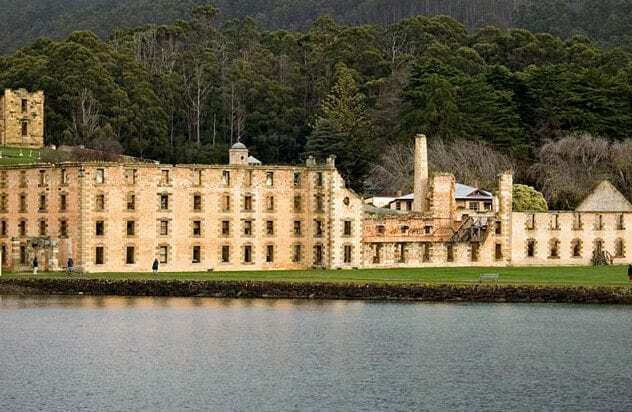 Built on the island of Tasmania, the Port Arthur penal colony was originally a timber camp, constructed in 1830. Only three short years later, it was turned into a jail to keep the deluge of human suffering flowing from Britain. The Separate Prison gave credence to Port Arthur’s reputation as a “hell on earth” and the “scene of unceasing suffering.” The officials in charge had come to the conclusion that corporal punishment did nothing but harden criminals; to truly rehabilitate criminals, you had to target the mind. Therefore, mandatory solitary confinement for 23 hours a day was the law of the land, with some prisoners hooded and forced to remain silent, expected to reflect on what brought them to Port Arthur. It was closed in 1877, forced out by the fact most of the natural resources the prisoners were forced to collect had been exhausted. Off the coast of the African nation of Senegal sits a relatively nondescript piece of land known as Goree Island. Its importance to the world has to do with the building that was used to hold captives of the Atlantic slave trade, a building known as the Maison des Esclaves. Though it is now an memorial, the building was originally the final stop for Africans bound for slavery, a fact illustrated by the “Door of No Return,” an empty doorway purported to be the last step for those being forced into ships. 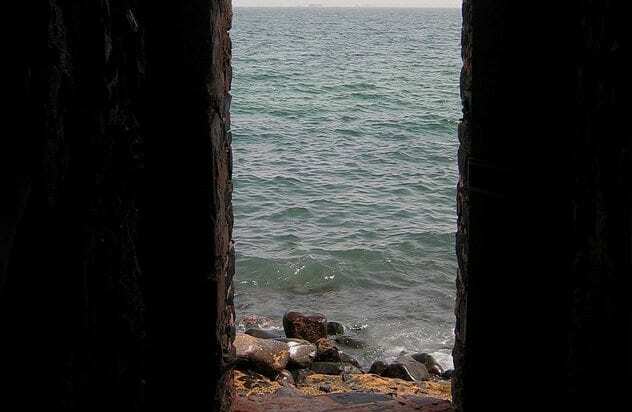 Some scholars maintain very few slaves ever left via Goree Island, claiming no more than a few thousand of the more than 12 million slaves came through that building. 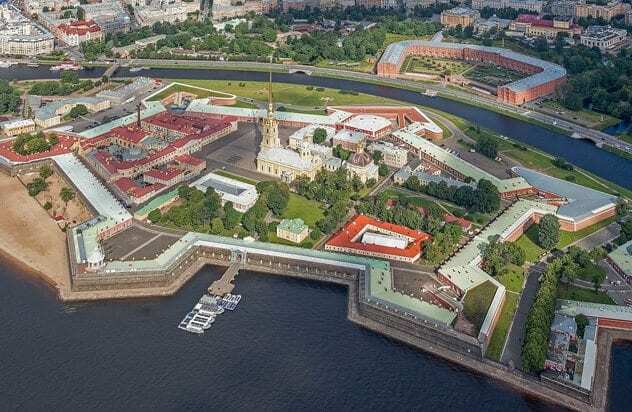 The first building in modern-day St. Petersburg, the Peter and Paul Fortress was built in 1703 by the famed Russian leader Peter the Great. Sometimes referred to as the “Russian Bastille,” the Fortress contains the State Prison, as well as a cathedral for which it was named. “By reason of the foetid and corrupt atmosphere that is in the heinous gaol of Newgate many persons are now dead who would be alive.” These were the words of Richard Whittington, the mayor of London in the late 14th and early 15th century, and the target of his ire was Newgate Prison, one of the oldest prisons in the city’s history. It was built in 1188, partially using Newgate, a historical gate the Romans built in the London Wall. Throughout its history, prisoners suffered, not at the hands of their guards, but because of disease. 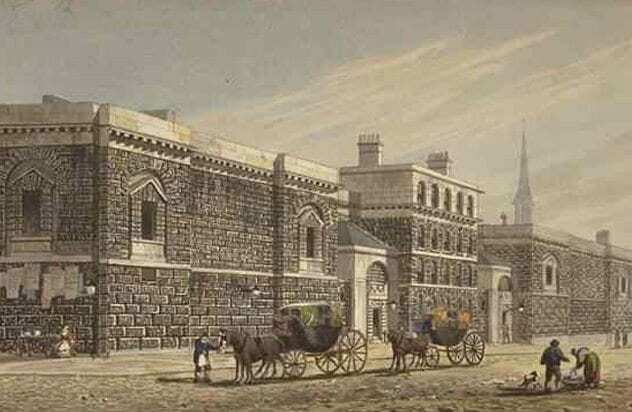 By the 18th century, twice the number of prisoners were kept there than it was designed for. In 1902, it was finally torn down, and part of the Old Bailey, the Central Criminal Court of England and Wales, now resides on the spot. The tullianum was built by Rome’s sixth king, Servius Tullius, and it consisted of a hole, through which prisoners were lowered by rope into a dungeon. The Roman historian Sallust had this to say: “It is about twelve feet deep in the ground. 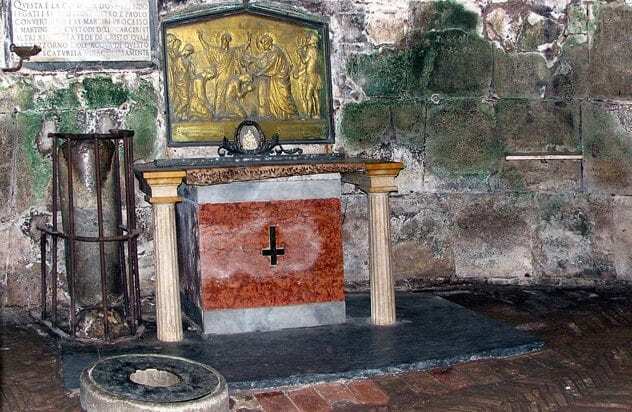 Its appearance is disgusting and vile by reason of the filth, the darkness, and the stench.” However, since incarceration wasn’t really an early Roman punishment, the only people who were generally thrown in the tullianum were those condemned to death. 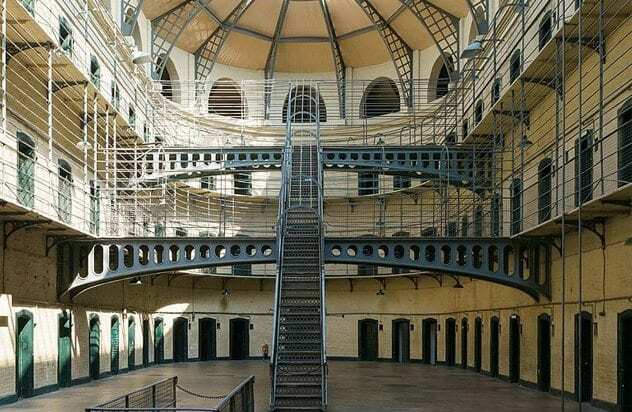 “But, sure, jail is a grand place, if one can forget that one’s in it.” Written by Evelyn Masterson, a prisoner of Kilmainham Gaol, these words typify the humor the Irish rebels displayed during their time in the county jail. Built in August 1796, the historical Kilmainham Gaol is the second one; the first was an incredibly terrible place in which to end up. Men, women, and children were jailed together, in conditions that fostered disease, starvation, and routine beatings from the guards. The French Alcatraz, the Chateau d’If is a fortress built on If, a small island just off the southeastern French shore. Constructed in 1531, it was originally designed by King François I as a defense against attacks from the sea. However, it quickly proved ineffective against increasingly technologically advanced ships, and it was turned into a prison only a few decades later. The rich who could afford to pay the exorbitant fees for private rooms lived in relative comfort, while the poverty-stricken languished in dungeons filled with disease and hunger. 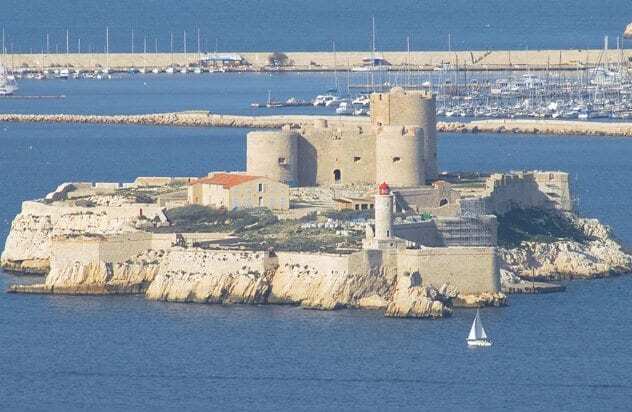 Most people who are familiar with the Chateau d’If are probably familiar with it because of Alexandre Dumas’s novel The Count of Monte Cristo, in which Edmond Dantes spends 14 years there. Perhaps the strangest guest was a rhinoceros, which found its way from India to Portugal to Rome, with several stops along the way, including the Chateau d’If. The prison was finally decommissioned in 1890 and has been a tourist attraction ever since. Elmina Castle had two levels: the top consisted of several luxurious suites for European guests, and the bottom was filled with cells in which up to 200 people were crammed. Disease ran rampant, and the filth and human excrement was produced in such levels that the floors of the dungeons are several inches higher than they were when they were built. 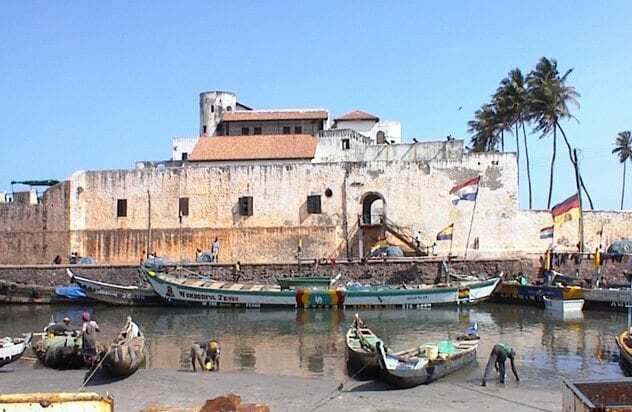 Much like the Maison des Esclaves, Elmina Castle had a “Door of No Return,” and there is significantly less controversy about this building’s involvement in the Atlantic Slave Trade. (By the 1800s, as many as 30,000 slaves passed through here each year.) It wasn’t until 1814, when the Dutch stopped their role in the Atlantic Slave Trade, that Elmina Castle was finally decommissioned. 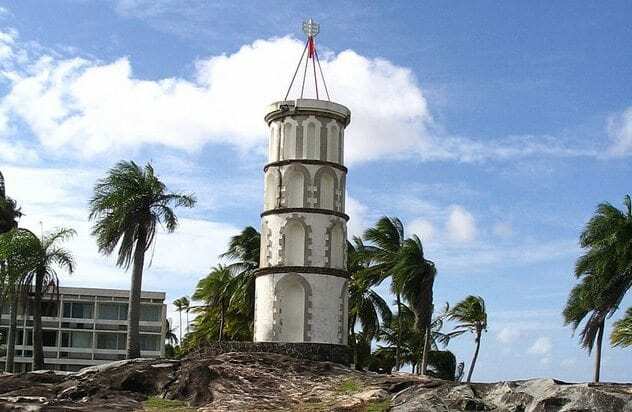 Located in French Guiana, the penal colony of Cayenne was opened in 1852. For the most part, inhabitants were political prisoners, and they were horribly mistreated while staying there. It was named the Devil’s Island by the British, due to the dangerous waves that crashed onto the shore and the rocks that protruded from the water. The most famous person who was incarcerated at Devil’s Island was Alfred Dreyfus, a French military officer falsely accused of treason. The only person who could rival his fame was Henri Charriere, better known as Papillon for the distinguishing tattoo on his chest. However, his best-selling book is believed by many to be mostly lies and half-truths, with only as much as 10% of it being true.